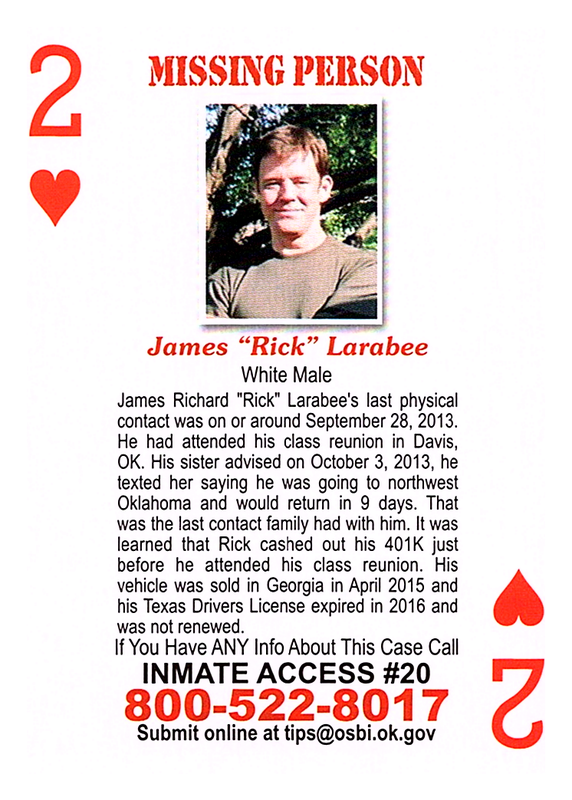 James Richard "Rick" Larabee's last physical contact was on or around September 28, 2013. He had attended his class reunion in Davis, OK. His sister advised on October 3, 2013, he texted her saying he was going to northwest Oklahoma and would return in 9 days. That was the last contact family had with him. It was learned that Rick cashed out his 401K just before he attended his class reunion. His vehicle was sold in Georgia in April 2015 and his Texas Drivers License expired in 2016 and was not renewed.